There was still a post-Coronation glow across the Commonwealth when Holden started making cars in Elizabeth, just north of Adelaide. Indeed, our Queen had only been in Buckingham Palace for a few years, and with this respectfully in mind, those mapping the satellite city instead decided that the thoroughfare next to the car manufacturing plant should be named Philip Highway, Elizabeth. I guess Philip Road, Elizabeth was a bit horizontal in tone, especially in the 1950’s. I’m not a petrol-head, but as a country boy, I was always going to buy a Holden for my first car. Purchased from solid farming folk near Greenock, it was a pale blue HR Holden complete with two-speed Powerglide. It had razor-blade thin tyres, which had the unfortunate habit of prolonged squealing as I gently rounded a corner, or accidently drove in circles at the intersection just up from the Kapunda Pizza Bar. Prior to buying an FM radio, for my driving pleasure I had a portable cassette player and a kazoo. The HR’s registration was REM-097. Part way through my degree I upgraded to the model I’m confident was made in greater numbers than any other at the Elizabeth plant: a HQ Kingswood (white). In our little country town, there must’ve been twenty of these, and they were mostly driven by us young fellas. Sometimes there’d be three or more of these in a diagonal row, outside Nugget’s Clare Castle Hotel*, late on a Sunday. Owning one seemed almost compulsory, and it functioned as a type of vehicular uniform for our silly army. Its rego was UXA-100. Deaf to their words, I’d then lean over and pump up the volume on a ten-minute blues song like, “Key to the Highway.” Somehow, we’re still friends. Nineteen. There may well be an age at which Australian males are more stupid, but I doubt it. With sudden and inexplicable urgency one Friday night, when I was barely nineteen, three friends and I decided that we needed to race down to one of the Kapunda main street’s four pubs (or possibly, all of them). So, we left the home of the mate that for legal reasons I’ll refer to as Woodsy* and failing entirely to navigate the dirt road behind Kapunda High School, my left fender prised open about twenty feet of the corrugated fence like it was a tin of Whiskers*. The car came to an immediate halt. Our friend was studying electronic engineering at Adelaide uni, so I said, “Chris*, you’re smart, fix it!” He couldn’t. Subsequent crash analysis revealed a major cause being the HQ Holden’s front bench seat on which, for now obscure reasons, all four of us were, for want of an ergonomically accurate term, sitting. Apparently, this lack of physical space made it difficult for the driver (me) to successfully operate the steering wheel. Later, another mate, Crackshot* remarked that despite it being only eighteen months since I’d somehow won Kapunda High’s Paul Giles Memorial Prize for Character and Leadership, I still clearly wanted to make a lasting mark on my former school. Under the cold light of Saturday morning, in grim conversation and looking at my Adidas Rome-d feet, neither the headmaster nor the town’s police officer, saw my yearning for scholastic legacy as a legally relevant issue. The final Holden I owned was the most expensive of the three, and certainly the least likable. Heading off to the West Coast to teach I bought a VK Commodore from Hage’s in Tanunda. It drove well, if thirstily, but the stereo was terrible and the front speaker rattled like buggery whenever I’d turned up a tape, like Billy Joel*. Billy deserves better. 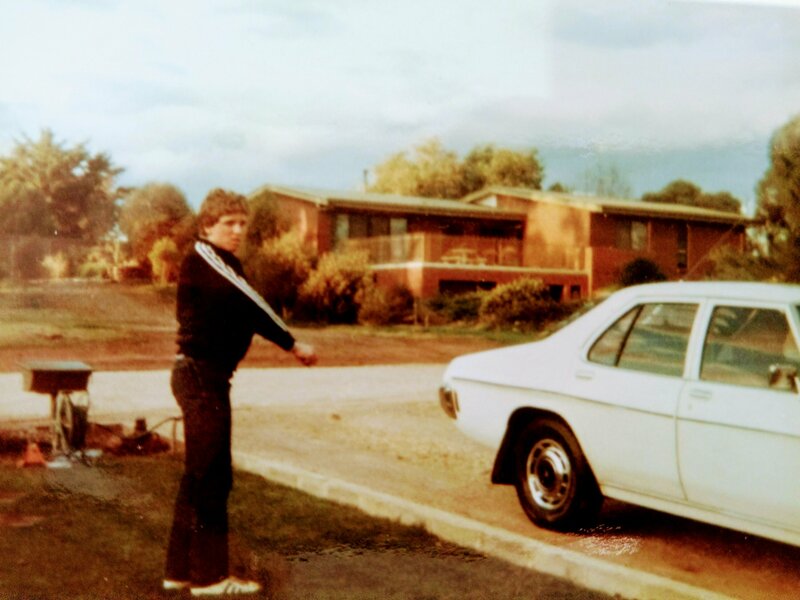 One evening after a prolonged cricket fixture and raffle-ticket selling duties in the Wudinna Club, the VK batted last and was dismissed, run-out by a Ford at a railway line on the road back to my farmhouse accommodation (I wasn’t driving). After extensive rehabilitation, during which I drove Jock* and Snook’s dune buggy, I sold it. I didn’t know it, but my relationship with Holden’s was finished. I’m unsure whether I’m yet to have my mid-life crisis, or if I’ve been having one all my life, but I often think that one day, I’ll buy myself an EH Holden. I might even take it on Sunday drives, and do a lap of Kapunda High. Who gets the new ball: Seasick Steve, Derek and The Dominos, Chad Morgan, or The Big Lebowski? About two Southwark cans into the drive down the Port Kenny Road somebody pushed a cassette in. It might’ve been Snook or Jock. Or possibly Stink. Chad Morgan started singing the “Banana Boat Song.” If under zombie attack, play this loud, you’ll be safe. Like my wife’s family, and Test cricketers Carl Rackemann and Nathan Hauritz, he’s from Wondai in Queensland. His signature song is “The Shiek of Scrubby Creek.” It’s vaudevillian, novelty. It evokes bush footy clubs and the unhurried Sunday BBQs of yesteryear. Chad wrote it when he was sixteen. 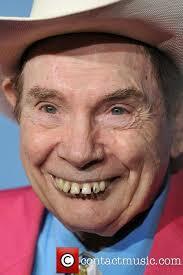 So for well over sixty years it’s been paying for his dinner and dentures. I’m more Vampire Weekend than weekend in Tamworth, but how fantastic is this? At sixteen few of us do anything of creative consequence. Not many forge a career by drinking too much cider and falling into a bush. Contrastingly, Annie Proulx was almost sixty when her literary life accelerated, courtesy of The Shipping News. Including “Brokeback Mountain” her recent Wyoming Stories trilogy is raw and remarkable. And this brings me to Seasick Steve. In his seventies, and having served a colossal apprenticeship, he only found recognition in 2006 with Dog House Music. Among others, he uses a Cigar-Box Guitar, and The One-Stringed Diddley Bow. “The Last Song Is About A Rooster Who Ain’t Alive No Mo’…” from Cheap is great. Newsflash! Fresh from his Sports Day success, our youngest, Max, breaks his wrist as I’m heading to the Marina Bay circuit. Ouch. Taxi. Hospital. Anaesthetic (son, not parents). Cast. Home. No Seasick Steve for me. I’m going to the Singapore Grand Prix with a friend who’s from Louisville, Kentucky. Not spotting a carbon-fibre conveyance won’t worrry me. I’m only here to enjoy some music. Are the HQ Holdens racing? What? No Nitro Funny Cars? My interest in F1 parallels Fev’s passion for the Large Hadron Collider. Agreed, it’s like going to Glastonbury just to admire the tents. Trackside, Seasick Steve, I trust, takes the idiotically named Coyote Stage. Cultural hegemony anyone? I’d love to visit Kentucky, home of the Derby, Hunter S Thompson and the Louisville Slugger. 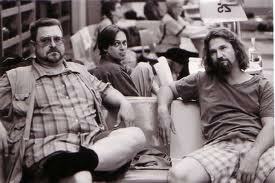 It also hosts the original Lebowski Fest, a celebration of the cult Coen brothers film. The Big Lebowski features the finest lines since Caddyshack. At least climatically, the blues fits here, with its muggy airlessness suggestive of the Mississippi Delta. Ash Grunwald did an outdoor gig in Clarke Quay in April. With his whirling dreadlocks, Dobro and BB King-inspired voice, it was hot, and it worked. Layla and Other Assorted Love Songs by Derek and the Dominos was my initial excursion. As the title track was a constant on the then catholic SA-FM, my harmonica playing, air-traffic controller friend and I bought the vinyl during my final year at school. A critique described the seminal opening riff as a maelstrom. Scandinavian words (and images) are exciting to adolescent boys. With a searing rock section, and the exquisite piano and slide guitar coda, “Layla” is incongruous on this blues album. Meandering across ten languid minutes, “Key to the Highway” still charms me as improvisation tsars, Eric Clapton and Duane Allman, have too much fun. It’s casual, soaring and laughably brilliant. A musical version of Darren Jarman, really. Where some see aural cruelty, I see schooling. The Wiggles are The Beatles for kids. Genius. But, without the blues’ swampy misery, how will they grow up happy? One day I may even sneak some Chad Morgan on for them.